2015; sketch; comedy; written by David Cornelius and Brad Nicholas; directed by David Cornelius. 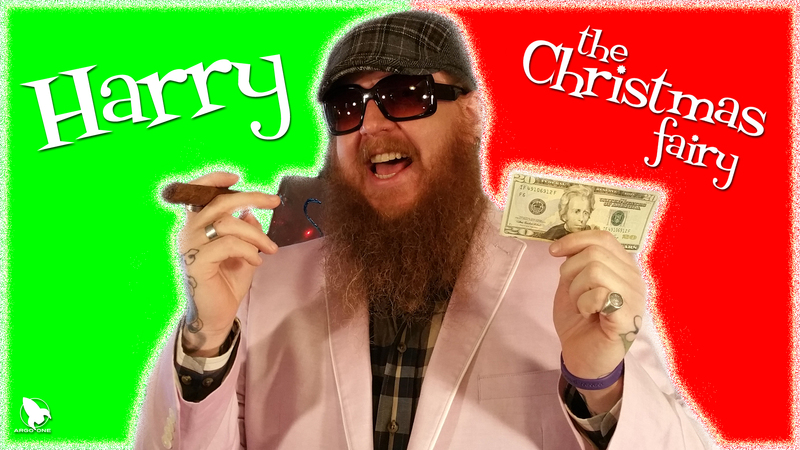 A Christmas card from Argo One Productions. Photography and sweet guitar licks by Shane Chaney. Guest starring Emma Robertson, Ruby Robertson, Genevieve Barnes-Chapman, Jack Robertson, RJ Robertson, and Bizzy Robertson. Online premiere December 22, 2015. Parents guide: Harry swears. A lot. It’s all bleeped, which older kids will (hopefully) find funny but which some parents may not like for younger kids, even with the bleeping. Harry also chomps on an unlit cigar.